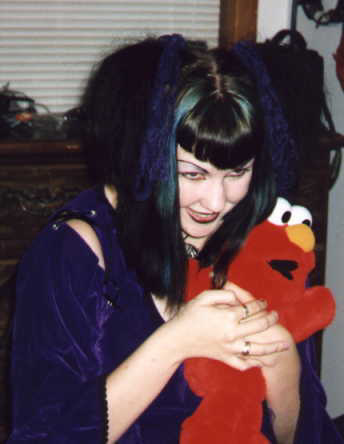 I'm cuddley perky goff girl who thinks that there needs to be more hugging in the gothic community. I really think cuteness should never be over looked..even in a subculture like goth. I've been spreading the perk and the cuddles for over six years now to goths of all ages and types. When I am not being sickenly cute I spend my time running Azrael's Accomplice my gothic clothing company and any spare time there after is dedicated to eating pixi stix and watching cartoons (cute cuddley ones..tee hee).